Black’s Transfer’s distinctive brown and yellow trucks have been traveling the roadways of the Atlantic Provinces, Ontario, Quebec and the Eastern Seaboard of the United States for more than 50 years. 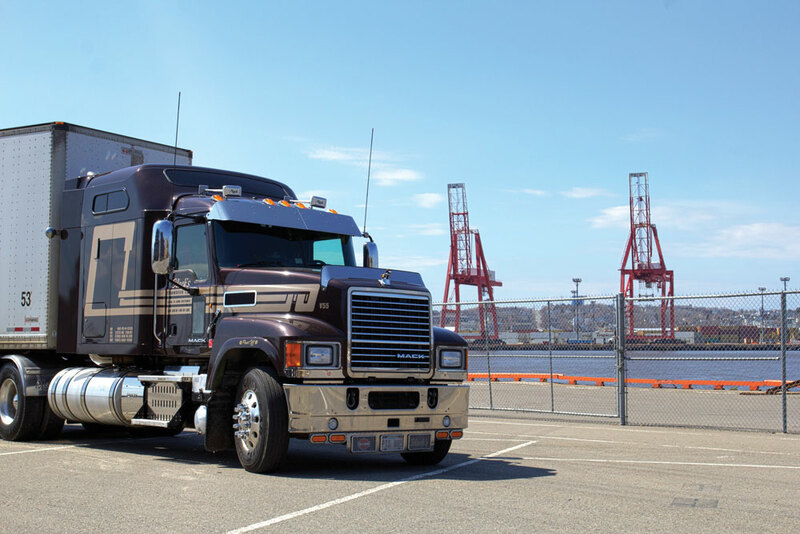 The short and long-haul company was founded in 1964 by 20-year-old Saint John native Dave Black who started out delivering groceries in 1960 and four years later, opened his own trucking company in Saint John with just one truck. He began trucking in high school and stayed in the business because of his passion for trucks and the industry. Over the next five decades, David went on to build the business into one of the most recognized companies in the Atlantic Provinces and in 1999, was ranked 65th in a list of top 100 New Brunswick businesses. Since the mid-1970’s, Black’s has been moving such commodities as steel products, heavy equipment, manufacturing machinery, lumber and building supplies, and bagged product such as fertilizer and salt. But the company also has expertise in over-dimensional loads. Its main focus these days is on container drayage through Port Saint John but its regional flatbed and dry van divisions are equally busy. 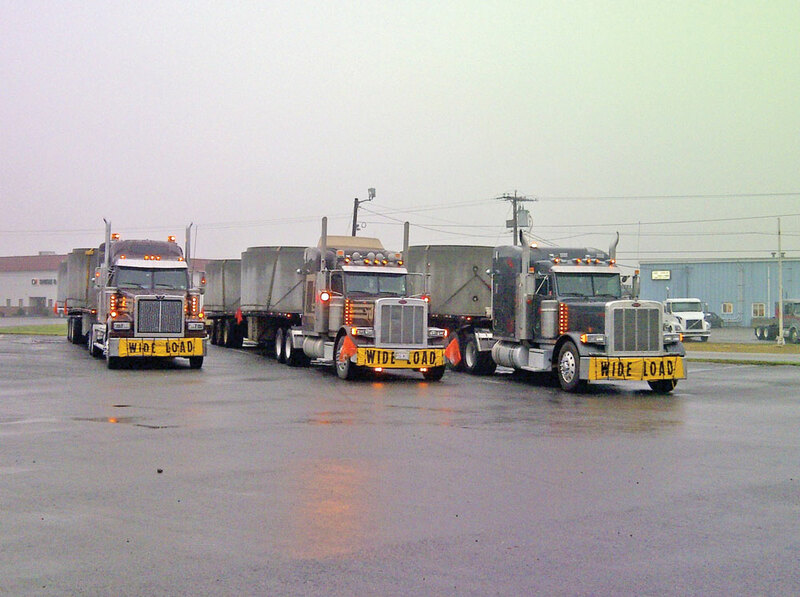 Its fleet consists of 20 trucks in total with 46 trailers comprised of container chassis, flatbed and dry van. The community-based family-run company has employed hundreds of local residents over the years with many current staff members being with the company for 10 years or more. In February of 2016 the company was sold to Kevin Stover so Black could retire. The current management team came along for the ride. Steve Kilpatrick, VP of Trucking has been with the company since early 2011 and Black’s daughter, Dale Black-Devost, stayed on as VP Operations. Dale joined Black’s Transfer Ltd. in May of 2010, two years after younger sister Heather entered the family business as the office manager. Dave’s sister-in law Winnie had also been with the company almost from the very start, helping with accounting when his office was just a room in the back of the family home. Dave’s grandson Nick also continues to work at the company. It’s been a low key transfer of ownership for Stover who, like his predecessor, plans to continue operating the business with integrity and honesty and with the same family values as Black. Stover has big plans for the company moving forward in order to adapt to changing times and remain competitive within the industry. The company will continue to upgrade its equipment and invest in innovation in order to maintain its competitive edge. One key driver going forward, says Stover, is the rich talent pool in the Atlantic Provinces innovation community and he looks forward to developing close relationships with other businesses and academic institutions with world class expertise. The future looks bright for Black’s Transfer with continued growth and prosperity as a long -time stakeholder of the Saint John Port Authority. Jim Quinn, President and CEO of Port of Saint John, looks forward to continuing its long-established professional relationship with Black’s in the years to come. 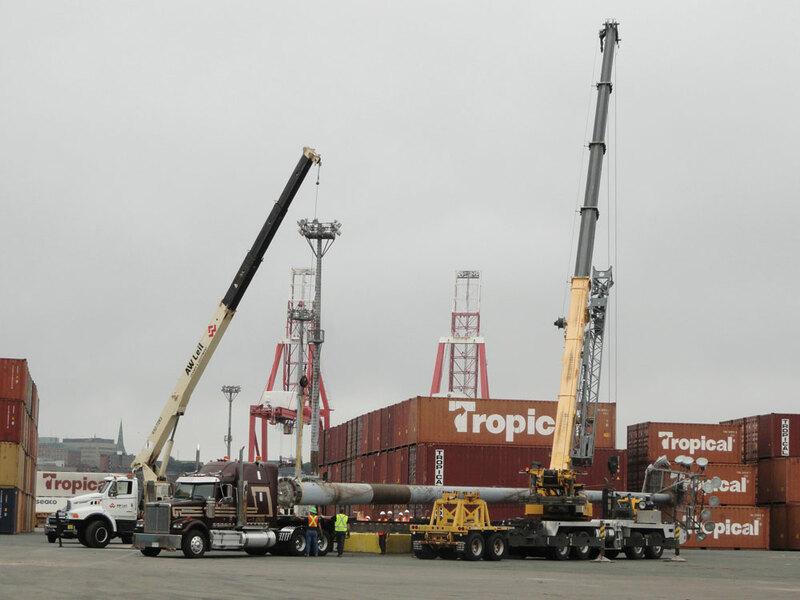 "Port Saint John has enjoyed a decade’s long relationship with Blacks Transfer and as we begin our $205 million modernization of our west side terminals, we will continue to value the excellent services provided by Black's to our shipper's and receivers. Their professionalism and innovative drive will be important factors as our port continues to grow." Staff at Black’s Transfer is equally excited with what the future holds for the company and eager to be a part of its continued growth and success. Driver Ricky Boucher has been employed with Black’s for almost 28 years and is proud to have spent his career with the progressive company. Dispatcher and former driver Chris Wallace has been involved in various roles for over 15 years at Black’s and feels valued as an employee. 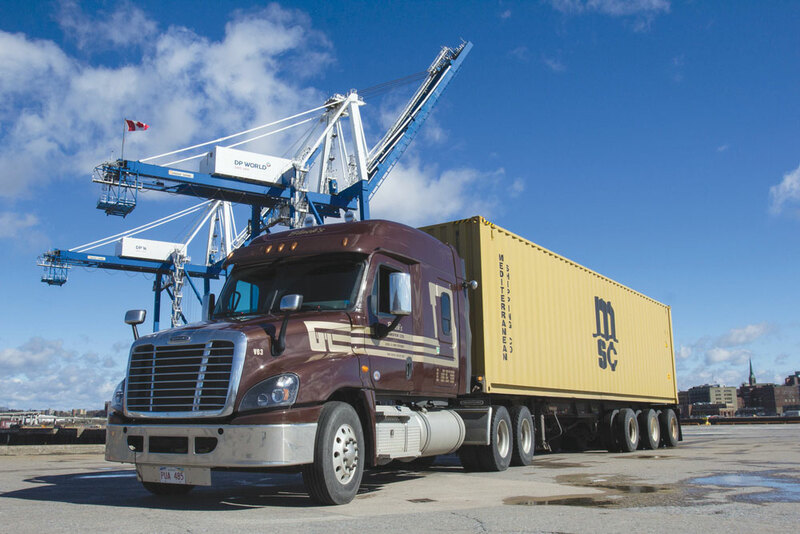 The company boasts a number of impressive accolades including the 2014 Port Award of the Year presented to a trucking company for the very first time by the Saint John Port Authority. That same year, Black was presented with the prestigious Golden Achievement Award from the American Truck Historical Society by Jean-Marc Picard, Executive Director of the Atlantic Provinces Trucking Association. In 2016 the company was nominated and subsequently won the Saint John Chamber of Commerce Outstanding Business Achievement Award.